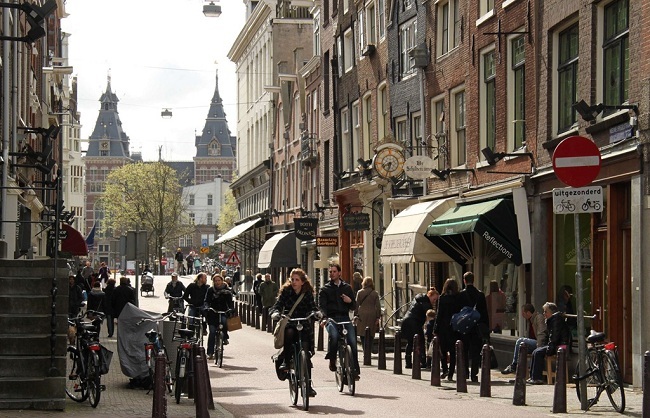 The main street in Amsterdam for antiques is the Nieuwe Spiegelstraat (“New Mirrorstreet”). This beautiful old street is located right in the middle of the canals. The Nieuwe Spiegelstraat is perfect for antqiues shopping. You will find nice little boutiques back to back on both sides of the street. While browsing and going from shop to shop you will pass nearly every major canal in Amsterdam. The rich history of The Netherlands and specifically Amsterdam provides for an equally rich range of antiques. Most of the shops are ancient themselves. Look for items from original prints of Rembrandt of Van Breughel to one of the most prestigious pewter collections in the world. Find yourself immersed in beautiful objects from the 17th and 18th century in the best antiques shopping streets in Amsterdam. Antiekcentrum Amsterdam is a large antique market located in one of the pitoresque houses in the Jordaan. The market has around 80 stalls. Expect antiques like old paintings, watches, jewelry and a large variety of old items. The place has a very relaxed atmosphere and it is a great idea to pay the Antiekcentrum Amsterdam a visit when you are in the Jordaan. Amsterdam is known for its live and independent art scene. The number of galleries, markets, shops and auctions dedicated to art is correspondingly high. The Art District is on the northside of Museumplein, it basically surround the antiques shopping street Nieuwe Spiegelstraat. Find many galleries with both modern and classic art located in streets in between the major canals of Amsterdam. If you are looking to buy Art that would fit most peoples idea of Amsterdam Art this is a good place to go. A fun and really local market to go to is the Art Market on Spui which is open every Sunday. On this market over 60 Dutch and international artists sell their art directly to you, without interference of galleries and the like. Spui is an old square located near Begijnhof, with cobblestones and pitoresque surroundings. A great way to spend your afternoon chatting to the artists and go the one of the many restaurants afterwards. 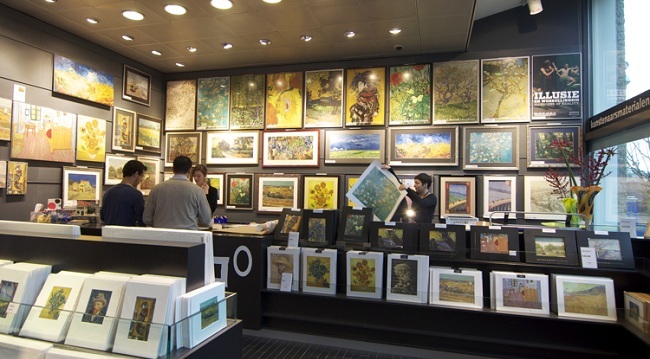 The most succesful Museum shop in the world is the shop in the Van Gogh Museum. Not a big surprise, given the broad collection of souvenirs and Van Gogh memorabilia. This store is a must see when you go to the museum and has very friendly staff.